Lydia Howarth scores in the second half for the Rams. 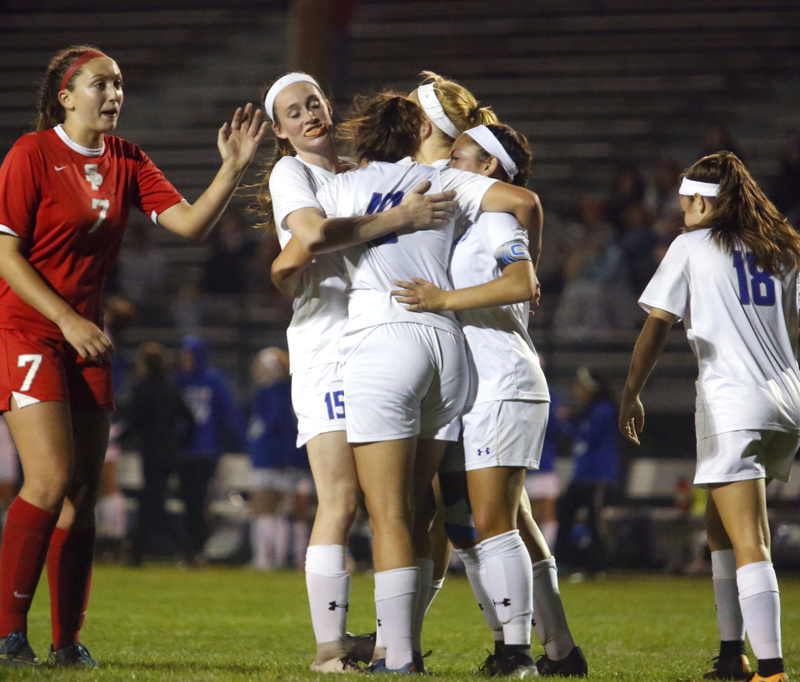 KENNEBUNK — The Kennebunk girls’ soccer team knows what it’s like to be the underdog in the playoffs. But in Tuesday night’s Class A South quarterfinal, the tables were turned for the second-seeded Rams, who defeated No. 7 South Portland 1-0 to advance to the regional semifinals. In 2015 and 2016, Kennebunk entered the playoffs seeded eighth and ninth. But in their SMAA debut this season, the Rams trail only Scarborough in Class A South. Kennebunk (11-3-1) will host No. 3 Marshwood (12-2-1) at 3 p.m. Saturday in the regional semifinals. After a scoreless first half, Lydia Howarth scored for Kennebunk on an Emily Archibald pass with 30:31 left. 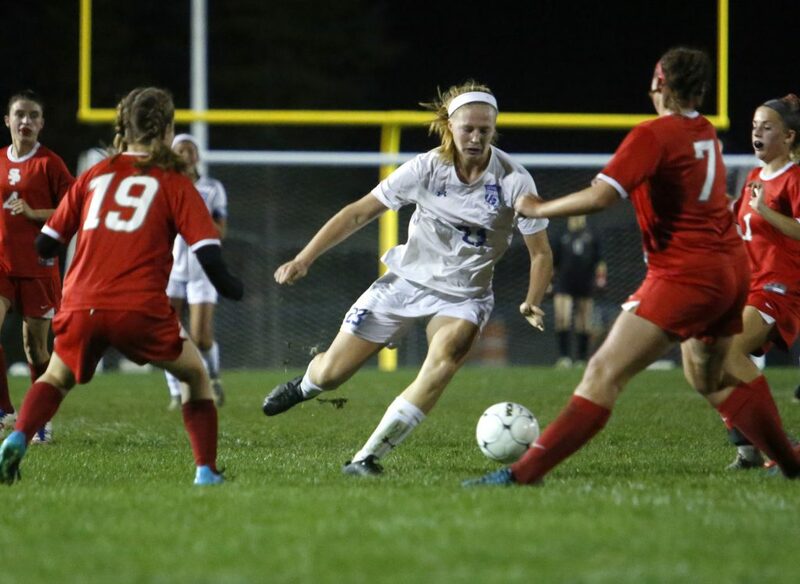 Archibald fed the ball to Howarth, who was met by South Portland defender Isabelle Cloutier. Cloutier tried to clear the ball, but Howarth ran through it and found the back of the net for the win. Kennebunk goalkeeper Adia Grogan finished with four saves while Maria Buck had six for South Portland (7-5-3). The Rams came out strong, with Abigale Lamontagne firing off a shot that slammed into the South Portland crossbar just seconds into the game. From there, Kennebunk managed to take six shots on goal before halftime while not allowing the Red Riots any looks. 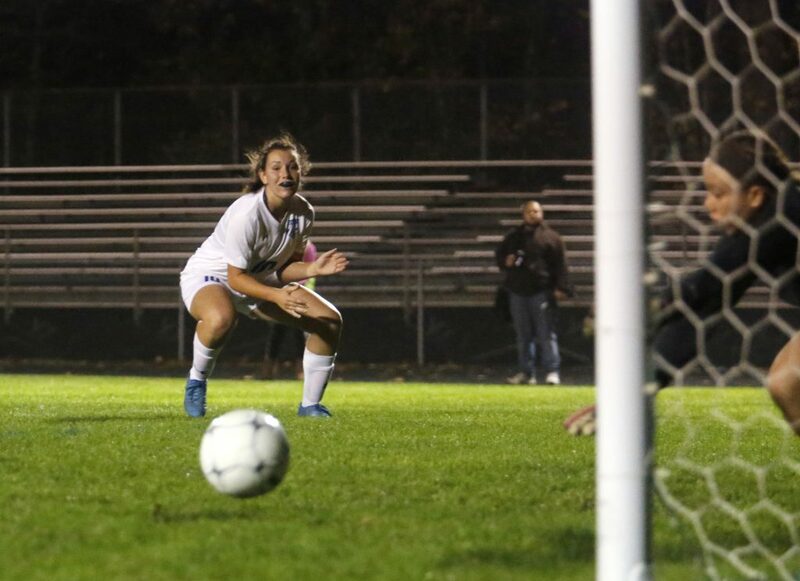 One of the Rams’ best scoring opportunities happened with less than a minute left in the first half, when Archibald took a shot that bounced off the crossbar and landed in front of the South Portland net. Howarth was there to get a foot on the ball, which she shot inches wide of the right goalpost. The Red Riots snatched the Rams’ momentum in the opening minutes of the second half, forcing Grogan to clean things up in the backfield. In the first six minutes, Grogan made two sliding saves, collecting the ball both times at the feet of South Portland’s Hattie Tetzlaff. The last time South Portland and Kennebunk met, on Sept. 19, they tied 2-2. 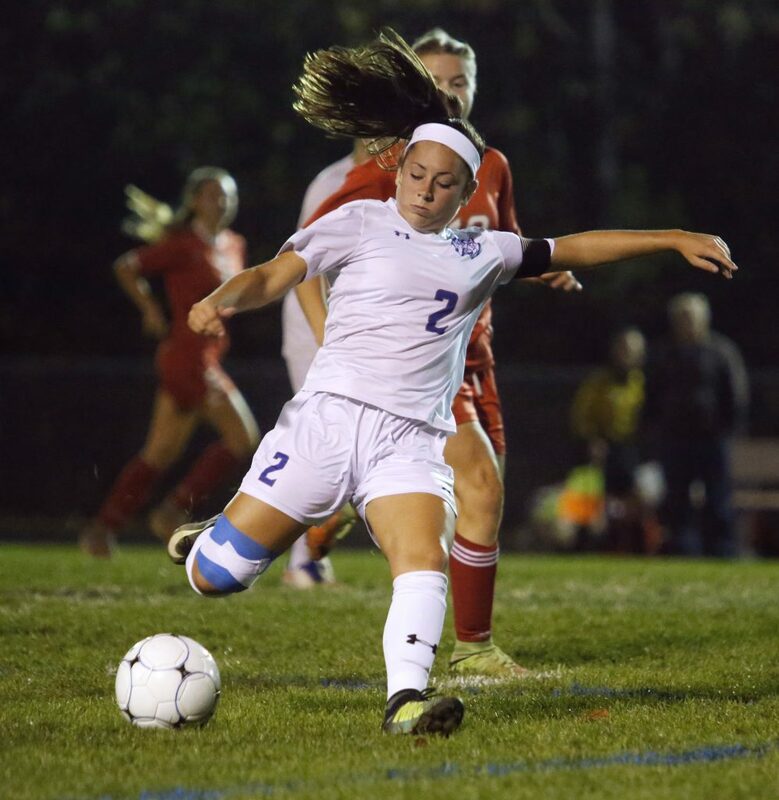 This time, Kennebunk had back one of its top defenders, Abby Lennon, who missed the earlier game because of an ankle injury. South Portland Coach Jeff Selser credited Kennebunk’s defense with keeping the Red Riots off the board. UPDATE: This story was updated at 11:20 a.m. on Oct. 25 to correctly identify a South Portland High defender.